Vira means brotherhood and on this album it represents a sort of fratemity between two outstanding soloists the flute player Rakesh Chaurasia and the Inimitable table player Talvin Singh. Both musicians have in the past taken their respective instruments into uncharted territory so it was only natural that they should play for a duet album like this one. Talvin Singh has long experimented with sound and despite his training as a classical Indian musician has sought to find a texture of sound which while remaining true to the classical tradition also reflects the latest in audio technology. In a traditional classical recital the soloist always has a repetitive background drone provided by the Tanpura. This provides a kind of background or mat against which the solo instruments really stand out. But instead of using a single Tanpura this recording features a richer background and texture with the use of special keyboard pads. 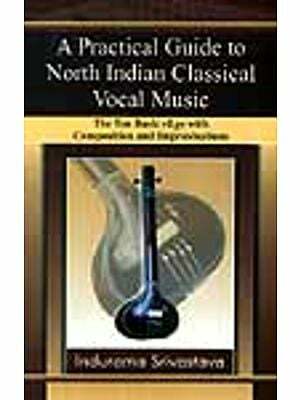 Ragas (or defined melodic structures) form the basis of all North Indian classical music. Combinations and permutations of musical notes are strictly organized into ascending and descending scales and as long as these rules are adhered to the musician is then completely free to improvise. There are literally hundreds of ragas but the same two dozen or so favorites are heard and played again and again. Ragas are more than just melodies. Apart from their musical features they are also allocated a Ras (Literally meaning juice but in this case more like an essence) which loosely defined the esoteric properties of a raga somber nostalgic etc. these conventions have evolved over the centuries and beginners are often at a loss to ascertain just what it is that makes a raga serious rather that romantic especially since a raga does not depend on a lyrical or textual content to express its essential mood. Whatever mood is conveyed it is primarily communicated with musical notes alone. Even so certain ragas most definitely suggest and even define certain emotional states particularly those that are linked to the seasons or those that have strong courtly associations depiction pomp and splendour. Apart from their musical and esoteric properties ragas are also allocated particular times of day and night whey they can be played or heard. It is said that to gain maximum benefit from a raga it must always be heard at its correct time. Even so a raga can be given a different musical treatment making it suitable for relaxation or meditation at any time of the day or night. While North Indian classical music has its own distinct repertoire of ragas during the last century there has been a tendency to also include ragas from south Indian music (an entirely different tradition of music). But the music of the south has adapted beautifully to North Indian instruments with many musicians often actively choosing to play lesser known south Indian ragas in place of the more popular North Indian Ones. The Bamboo flute (Bansuri) more than any other musical instrument has long had strong devotional associations. In many mystical traditions the sound of the flute is said to symbolize the cry of the lover longing for union with the beloved. When the Hindu God Krishna played his flute in the middle of the night his devotees the Gopis (or milkmaids) of Vrindaban were so entranced that they got out of their beds and headed for the forest the search of the their beds and headed for the forest in search of the elusive Krishna. This legend symbolizes man’s search for an unseen God who although seldom present in a physical form nevertheless manifests himself in other ways. The tabla the best known of all Indian percussion instruments is a relatively modern pair of drums that has gradually come to replace the older barrel shaped pathavaj. The tabla played in two halves and generally given to more rhythmic ornamentation was better suited to the newer styles of playing Indian instruments as well accompaniment for vocals which had changed from the austere Dhrupad to the more romantic Khayal. The tabla is now widely used in India Pakistan and Bangladesh. Always a favorite accompaniment for classical recitals it is now also played alongside various regional or modern drums in recitals of folk or pop music. 1. Meeting – based on Raga Manj Khamaj Kaherva Taal (8 beat-cycle). This is a variation of the well known Raga Khamaj and is a great favourite among vocalist and instrumentalists alike. It is particularly suited to lighter genres vocal and instrumental. 2. Friendship – based on Raga Kirwani – Teen Taal (16 Beats-cycle). A well know south Indian raga which resembles older forms of the enormously popular Raga Pilu. It is particularly suited to instrumental music. As there are no strict performance rules it affords the performer the greatest opportunity for improvisation. 3. Heaven – based on raga Hansdhwani – another south Indian raga it is performed here without any rhythmic accompaniment. The word literally means the cry of the swan and is though to have originated sometime in the 18th century. It has a sprightly character although it is generally played in the late evening. 4. Vira- based on raga abhogi Mat Taal (9 beats-cycle) a pentatonic raga of south Indian origin that ahs recently become very popular in north Indian recitals. It resembles the well known Raga Bageshir in certain respects but has a totally different character. It is generally played in the early or late evening. 5. One world – Based on Raga Madhuvati – Rupak Taal (7 Beats-cycle). This is a 20th century raga composed for the late evening. It is thought to have emerged from a folk tune of the Kolhapur region and bears almost no resemblance to any other raga of the North Indian classical repertoire. Rakesh and Talvin Brad, Bashir, Illy, Carly, John, Shaila, Shwetal and Shefali. Talvin Singh the uncrowned prince of the Asian underground makes a dramatic presentation of his skills in classical tabla playing joining hands with Rakesh Chaurasia scion of the Chaurasia flute legacy he presents an album that is at once classical compelling and creative.